Finding musical influence from the sounds of Stevie Nicks, Billie Eilish, The Japanese Houseand Lorde, Loveday is constantly motivated by female figures throughout her life and projects her signature style through content that is close to her heart. With inspiration from day-to-day life experiences, Loveday’s music is comprised of first love, friendships, adventure and growing up in the world. Loveday’s debut single ‘Close’ was picked up by Japanese remixer Initial Talk who is famed for his remix of Dua Lipa’s ‘New Rules’ . 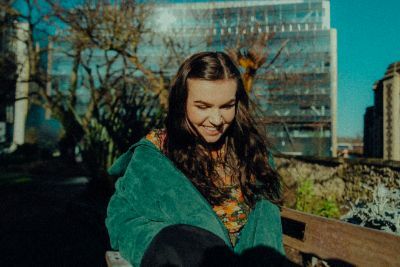 Initial Talk remixed the budding artists’ debut release, and since then Loveday has seen fast-rising success with tracks ‘To You’ and most recently‘Breathless (Like This)’ which reached Number 1 on Hype Machine’s music chart and was supported by BBC Music Introducing. Garnering support worldwide from Grammy award winning production duo The Chainsmokers, Loveday has gone onto accumulate airplay from radio tastemakers Jamz Supernova and Tom Robinson.